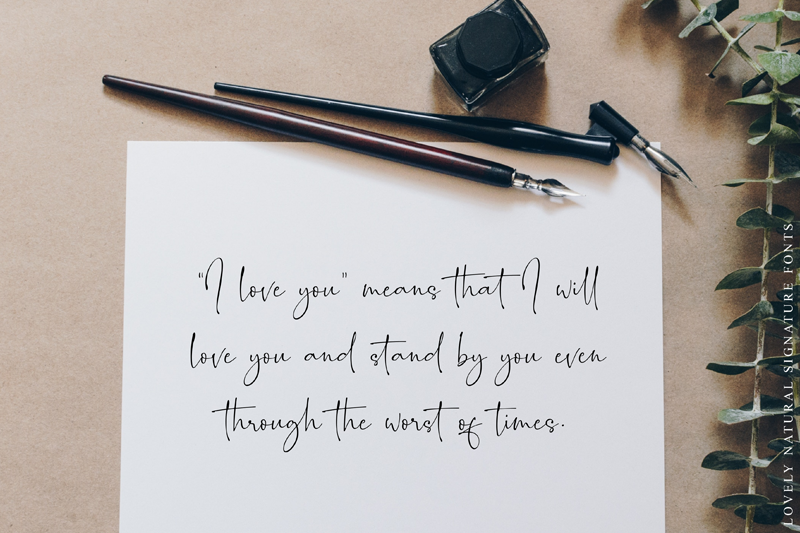 Download Romantically font for free. Romantically is a font / typeface offered for free. please note that if the license offered here is non-commercial you have to obtain a commercial use license / permit from the original author. The Romantically is a lovely signature script. It has a natural writing style and will add a classy touch to your designs. The two included styles can be combined perfectly and will add an unique touch to your designs. It’s perfect for branding, photography, invitations, quotes, watermarks, advertisements, product designs, labels, and much more! If the Romantically font is offered under 'commercial use free' or 'creative common' license, feel free to use Romantically font for any purpose.